As a debut novel, this is a good one. This book had plenty of things that a good YA novel needs: drama, romance, insta-love, annoying friends...you get the picture. Hadley is a high school senior who seems like she's on the fast track for greatness. Only what everyone doesn't know is that Hadley's main focus is protecting her little sister from their abusive father. When Hadley starts dating Charlie things go from bad to worse. Her father has no remorse and doesn't care about anything or anyone but himself. Hadley's mother is an alcoholic and is completely useless. While Hadley confides in Charlie about her home life she leaves her friends out of the loop and it causes tension between them. 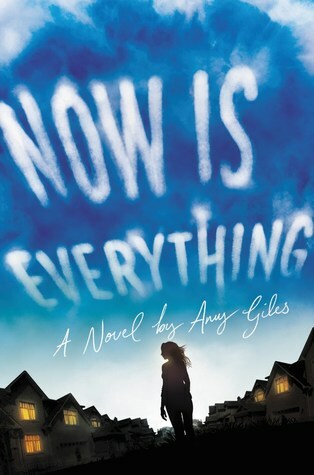 I liked the alternating chapters of THEN and NOW and figuring out how we got to the NOW part. The THEN parts are hard to read, particularly because of the mentions of abuse within the narrative. There are also so cringe-worthy moments. The insta-love is one of them. There are many swoons and the love story seems kind of weak. The bigger part of the story is how Hadley tries, and fails, to protect Lila. There are some truly heartbreaking moments between the sisters and parents. The little bit of mystery is a nice addition and the supporting characters are...okay. I liked Noah a lot but Meghan was too much drama for me. All in all a strong debut. Check it out in November.